The Book Garden: The Reading Files - Just shoot me (or the book)! 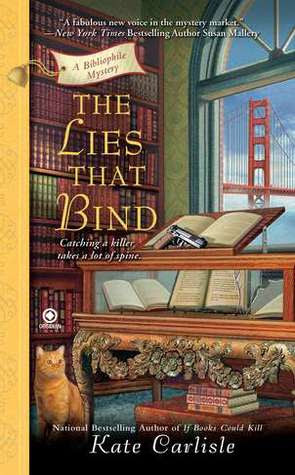 And who would have thought I'd be reading more cozy mysteries this week? Apart from Rikki who's already rubbing her hands in anticipation of getting a whole stack from me anytime soon (I just realized I first said that back in April or so, but the time has come ... hopefully maybe). So bring on the dead bodies! Thoughts. Book restoration, bookbinding class, and murder ... over books! Perfectly themed for me, this was a fast and lighthearted read with a bit of reluctant sleuth which I found rather refreshing. The whole hippie-angle wasn't quite up my alley but I might read more of the series anyway. Random quote. In his hand, he was clutching the Oliver Twist I'd restored so lovingly. In the middle of his forehead was a bullet hole. Verdict. Fluffy almost chick-lity mystery of the bookish kind! Thoughts. 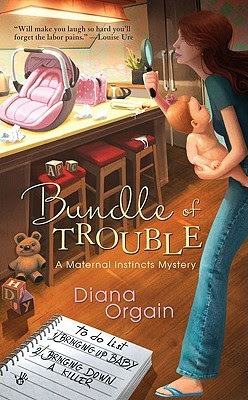 Why not write a cozy mystery from a new Mom's perspective? It could have worked, but didn't. The narrative is clipped and somewhat rushed. The characters are bland and far from likable. And overall the plot just isn't believable. Threw the diaper after chapter 5! Random quote. "Can you tell me who the body was?" I asked. He scratched his head. "It was in the papers. Didn't you read about it?" "I just had a baby. I haven't been doing a lot of reading lately." Verdict. Exceptionally dull and badly written Mom-ish mystery! Thoughts. 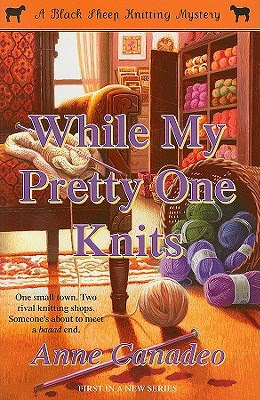 If knitting isn't cozy enough for you just throw in a murder of a yarn shop owner and have the knitting gals solve the crime. A light read and as cozy as cozy can get with a mystery that I saw through even before the dead body turned up. Totally smitten with the lovely cover! Last line. Who could predict what new adventures - in knitting and in life - awaited? Verdict. A crafty book for everyone who prefers mellow mysteries! Nice assortment of cozies again. The knitting one sounds good. Looking forward to it. Nice list! I love mysteries of all kinds. And I love finding new authors.